Paulina Nieto, 19, visits Riley's Children's Health. She used art therapy while recovering from a heart transplant when she was 16. “When I was about 6 months old, I had surgery to open the artery and that helped for a while until I started having problems again,” said Nieto. She had her first heart transplant when she was two and her second when she was 16. Nieto is now 19 and healthy. 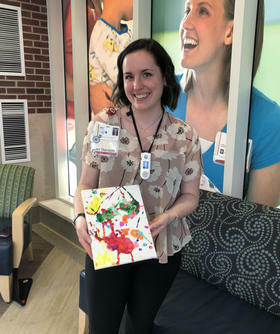 She says art therapy, a psychotherapy that helps people express emotions through art, helped her get through the stress of that last surgery while at Riley’s Children Health in Indianapolis. Art therapy is finding its place in the mental health profession, but most states including Indiana, don’t recognize it as its own profession. It’s often something licensed counselors use as a tool. But there’s been more of an effort to increase the number of art therapists in the state now that Second Lady Karen Pence has focused a spotlight on art therapy. Pence, who’s from Indiana, helped to raise money to get two art therapists at Riley’s according to the New York Times. During her trip to Indiana this September, she visited Riley’s Art Therapy Studio to participate in an art therapy group session with some patients. They used syringes to paint on white canvases. Riley’s art therapists use syringe painting to take the fear out of the medical syringes the patients often see. 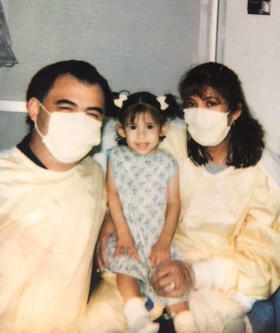 For Nieto, one of her cardiologists, Dr. Randall Caldwell, suggested she try art therapy to help cope with the stress of undergoing a heart transplant. “I started a couple of classes and we were just painting and talking about how I felt, just the emotions that I went through. I think it was a really beneficial way of letting my emotions out in a healthy way,” said Nieto. Emily Allbery is one of the art therapists at Riley’s, where the hospital offers art therapy to all patients. Allbery says she sees patients as young as two. Art therapists are up against misconceptions that art therapy is like arts and crafts, or it’s as simple as taking some time to color or draw. But one of the largest challenges is the lack of a state license, which makes it difficult for art therapists to bill insurance. Eileen Misluk directs the graduate level art therapy program at the Herron School of Art and Design in Indianapolis. 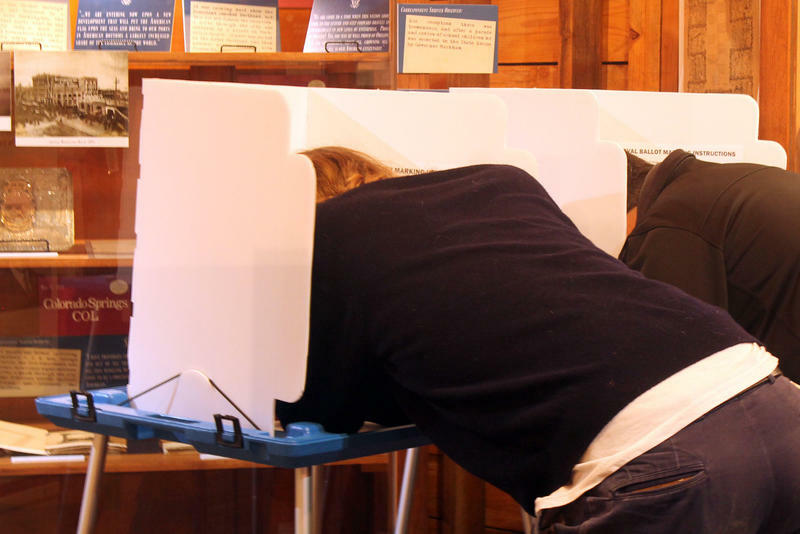 She believes Pence has helped to clarify some of these misconceptions, and she’s helped to advocate for licensure. “I think Karen Pence has helped in that sense that she has brought this awareness, that it’s not just painting, not just making art. It goes on such a deeper level than that,” said Misluk. According to Misluk, art therapists get around the billing hurdle by being trained and licensed as mental health counselors. “They are working a lot of times as a licensed mental health counselor who uses their training as an art therapist,” said Misluk. 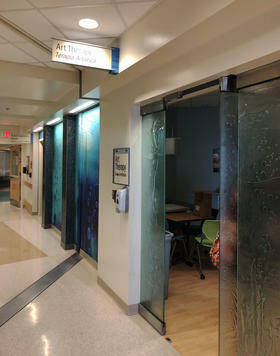 But for the safety of the community, art therapists want a unique license to prove they have met the educational and clinical requirements. This would afford them title protection, so that someone who passes themselves off as an art therapist could be fined if they don’t have the proper training. But in Indiana, or in any other state in the midwest, the title “art therapist” isn’t protected. So someone could falsely say they are an art therapist and actually cause harm to a patient. According to the Indiana Art Therapy Association, there are about 50 art therapists in Indiana. Misluk thinks there needs to be up to 250 art therapists in the state to make licensing possible. She believes it’s going to take time to change Indiana’s lacks rules even with three universities graduating more art therapists. That’s why Misluk is focused on educating the community and addressing misconceptions of art therapy. “So whether you make great art by society standards or whether you happen to create stick figures, it’s the way of knowing that becomes the real therapeutic factor in art therapy,” said Misluk. Nieto noticed those therapeutic benefits during her art therapy sessions. 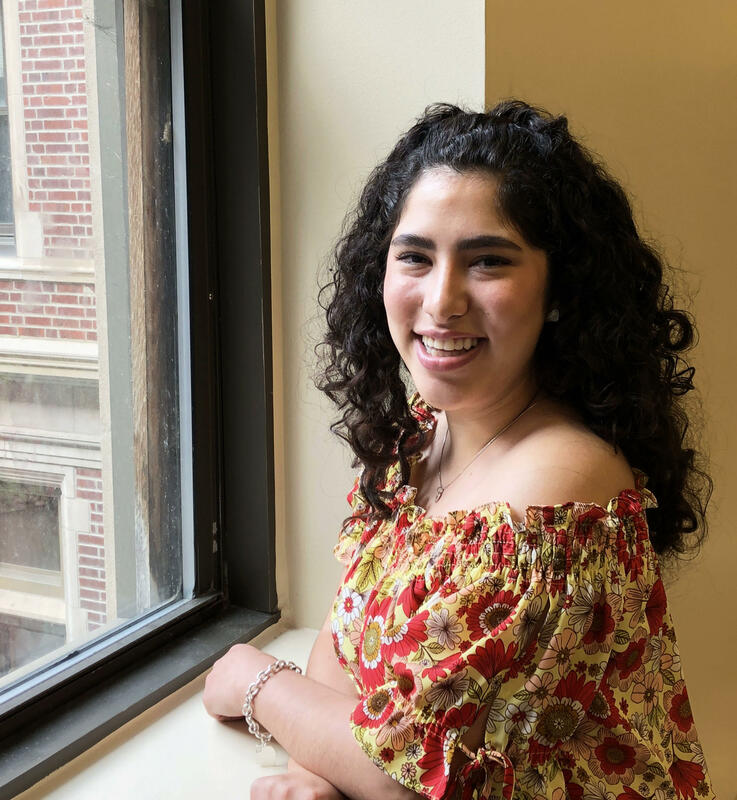 Art therapy helped Nieto so much, she plans to study to become an art therapist. “That’s something that I’m really looking forward to because being able to give back to the community in the same way that they did for me. I feel like that’s just kinda my life goal,” said Nieto. Nieto hopes to one day return to Riley’s Children’s Health. She wants to use art therapy to help children through their recovery. Editor's Correction: An earlier version of this story incorrectly stated that Eileen Misluk directs the masters of arts and art therapy program at the Herron School of Art and Design in Indianapolis. She directs the graduate art therapy program. This story has been updated to reflect this correction. Volunteers use a golf cart to shuffle veterans from a parking lot to a pond in Galloway. It’s a crisp fall day, and the calm water is full of fish. Crickets chirp distantly and fishers slush through the grass to find private spots to fish. A few Columbus Crew SC players are even on hand to mingle with veterans.